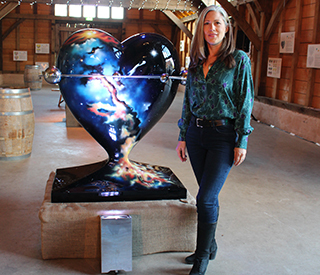 St Catherine’s Hospice are delighted to introduce HeART to Heart: a brand new art trail coming to West Sussex and East Surrey in 2019. 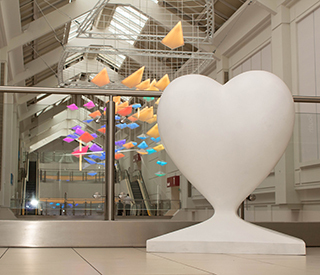 This exciting new event will give our local community the chance to follow a trail of hearts across the areas where we care for people, with each heart individually and uniquely designed by a local artist. Sponsoring a heart is great way for your business to engage with your local community. Choose from one of the bespoke designs or work with a local artists to come up with something all of your own. The art trail will be seen by thousands of people during the summer of 2019 – show them that your organisation cares! Find out more about our HeART to Heart artists and how to submit your own design here. Sponsoring a heart is a great way to engage with your local community. Find out more here. Schools and youth groups can take one of our mini hearts and make it their own. Find our more here.